This week in KeratoScoop: Kids with dry eye. Sleep deprivation and dry eye. Dry eye after cataract surgery. 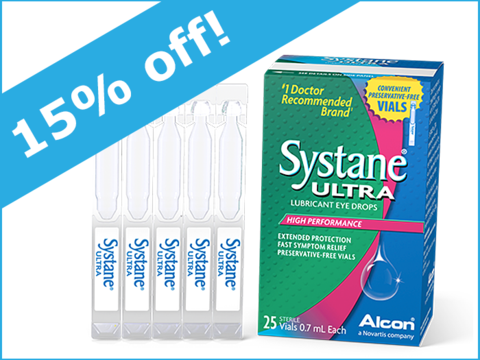 Systane is on sale. Refresh PM is still on backorder. Join a Facebook group! Rebecca misses NutraTear. Abstract: "Adolescents with dry eye disease are underserved"
Hear, hear! This was a study of Japanese kids aged 10-19. Among many other things it serves to highlight the absence of dry eye epidemiology studies on American kids, especially the ones born with an iphone in their hand, to better understand the patterns and risks. This abstract outlines all of the ways sleep deprivation messes with your tear film health. Unfortunately, for many of you, it started the other way around. Talk about chickens and eggs. This was extraordinary. 95% of participants were men, who are not exactly high on the dry eye demographic totem pole. One in three patients had persistent postsurgical pain six months after surgery! The authors compared the prevalence of post-operative pain in cataract patients to that of refractive surgery (e.g. LASIK) and dental implants. 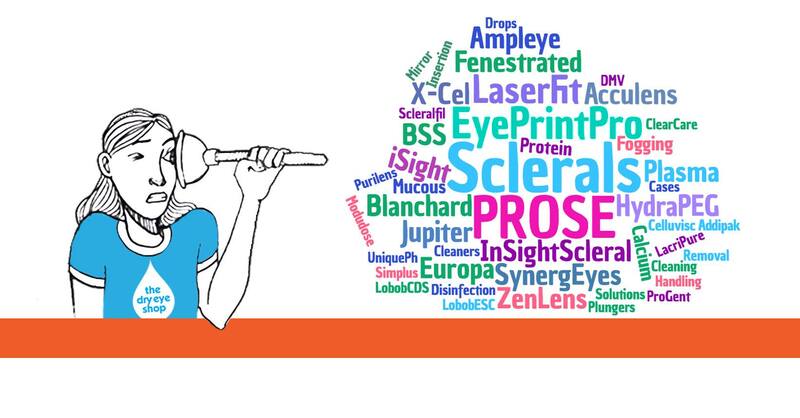 As an EyePrintPro wearer, I couldn't resist posting this one on my blog. Dave shares about the admittedly daunting technique that is keeping his eyes protected at night. March 19 - Orange County Dry Eye Support Group (Laguna Hills, CA). Guest speaker: Dr Dan Carver. Click here for details and to RSVP. April 13-14 - SSF National Patient Conference: Exploring Sjogrens (Denver, CO). Click here for brochure and registration form. Systane brand drops are all on sale now through Sunday! The much anticipated March 1 "We'll have more information then!" date came and went. No information to be had. For the umpteenth time, Allergan is back to "We have no information". You know what really galls me? I know for a fact Allergan is receiving tons of calls about this, and I call them so frequently myself that probably most of their staff have spoken with me at least once. Yet every single time, when I say "Just calling for an update on Refresh PM" they have to make this silly pretence of confirming what I'm asking about and going away and looking it up or asking someone else. EVERY SINGLE TIME. It's so cheesy. There is simply no way that they don't all know perfectly well. On one of my recent phone calls (actually, one of several on March 1) I finally let some of my frustration creep into my voice. Perhaps, in fact, more of it than I realized, because all of a sudden the very nice person I was talking to made the leap from "I'm sorry, I don't have any more information on that" to babbling about how she knew what a big issue it was and how it's all because of hurricane related issues in Puerto Rico and how there's been so much noise over it that they've been trying to escalate it to VP level within Allergan and how there's a meeting next week, et cetera. It was gratifying to have the reality acknowledged, however briefly. You can tell how hard I'm having to work to count my blessings about this. Worst of all was the fact that earlier in February I was beguiled - on the promise of a firm Feb 20th ship date (my birthday too, sheesh!) into accepting backorders. In no time at all we had over 100 on backorder. And once again I've had to turn around and say "Oops, I'm so sorry... I really was trying to help , but...." At this point I am determined never to be that stupid again. We will not accept orders for Refresh PM until the product walks in the door. We've refunded and canceled almost all existing backorders, save for a few who really wanted us to keep them a few more weeks. Everyone who ordered in February is on our high priority notification list as soon as we have anything resembling reliable information. So sorry, everyone. Once again, here's my blog post with suggestions for alternatives. 2018 marks the 10 year anniversary of the disappearance of NutraTear. Not that it completely disappeared then, of course, but that was the last production run. I kept my last bottles going not only for years after that but for a few years after their expirations even. NutraTear was one of the famed Dr Holly's Drops. As far as I am concerned, it was the best little eyedrop ever made. If it were still around, I would be using it over my sclerals because it really, seriously was better at wetting a gas permeable contact lens than any substance known to man. Such a loss to the dry eye world (and to the scleral lens world who never had the opportunity to experience it). It was pink because of Vitamin B12 content. In fact, when for a few brief years I was involved with getting it manufactured and distributed (a rescue mission that did not last very long) I capitalized on that aspect and marketed it as "the remarkably red eyedrop", which was kind of fun. I can only hope that one day those who own the rights to it can manage to bring it back. I miss NutraTear. 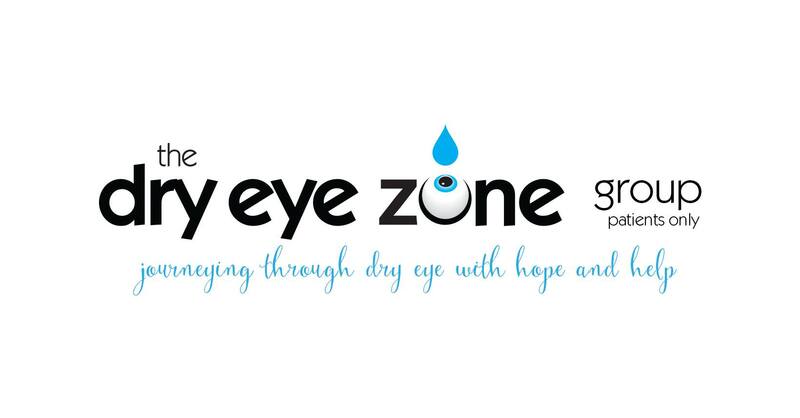 I've been having so much fun re-writing the DryEyeZone website, it's just incredible. Most of it I have barely even looked at in years. So it's fun and amusing to see how much I've learned since then - and also how much I've forgotten - and how many things that were important to me back then still are now, while other big areas of concern back then have receded due to improvements in the world of dry eye care. There is a long ways to go, and some technical hurdles to overcome including having to move the DryEyeTalk forum, but I am absolutely determined that it will be launched in March. Have a great rest of your week, everyone!